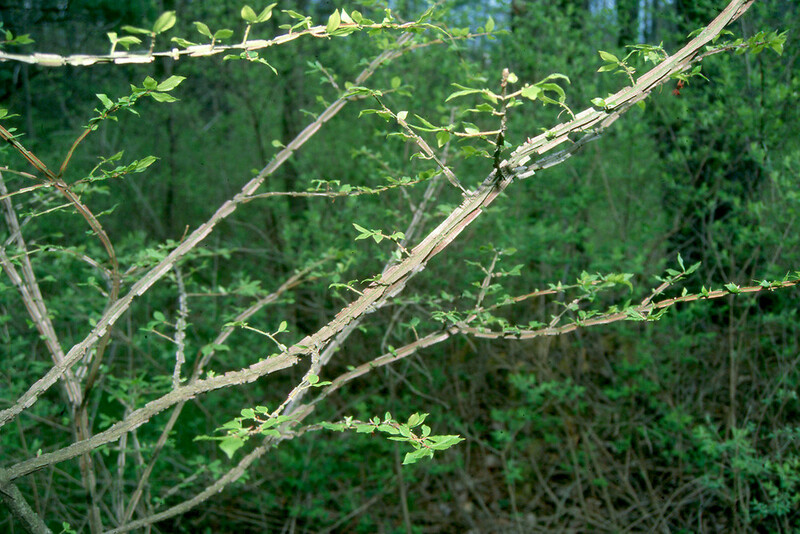 Euonymus alatus branches. Copyright © 2018 Vermont Nongame & Natural Heritage Program. New England Wild Flower Society. gobotany.newenglandwild.org (Accessed 5/2018). 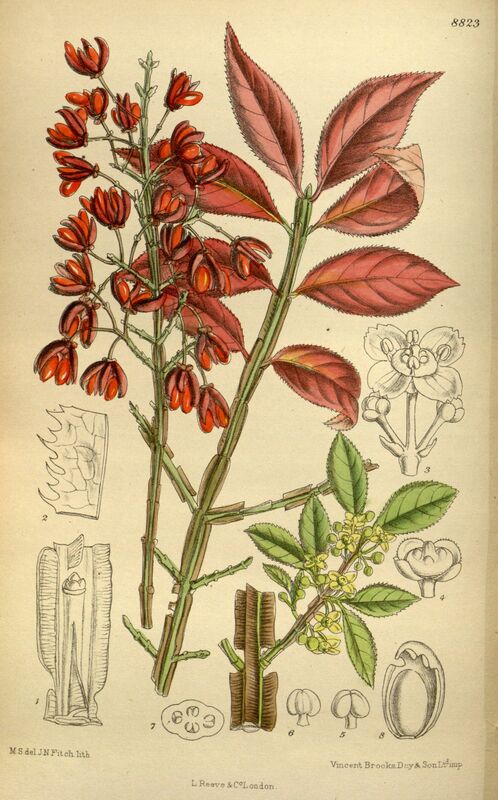 Euonymus alatus is a shrub to 2.5 m tall, stems green to pale tan, with corky wings. 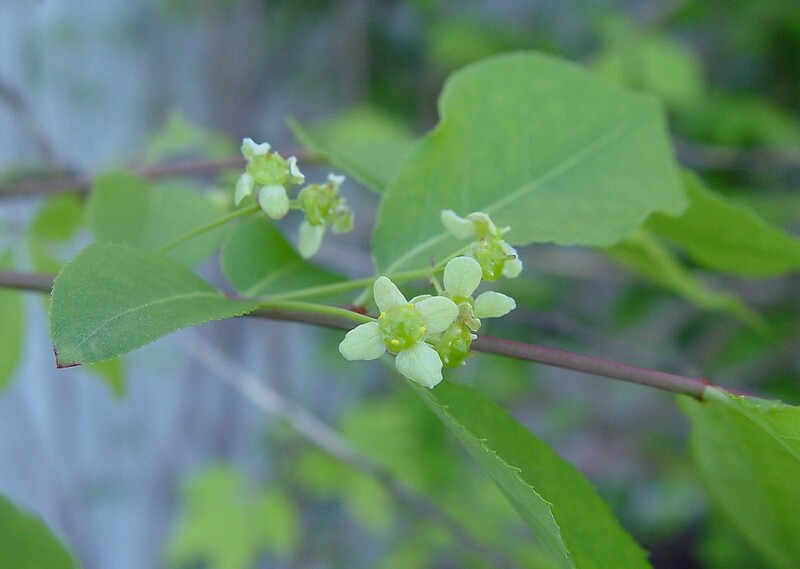 Leaves opposite, elliptic, to 6 cm long, almost stalkless, margin toothed, turning bright red or pink in Autumn. Euonymus alatus flowers. By Arthur Haines. Copyright © 2018. New England Wild Flower Society. gobotany.newenglandwild.org (Accessed 5/2018). Flowers 4-parted, green, to 0.8 cm wide. 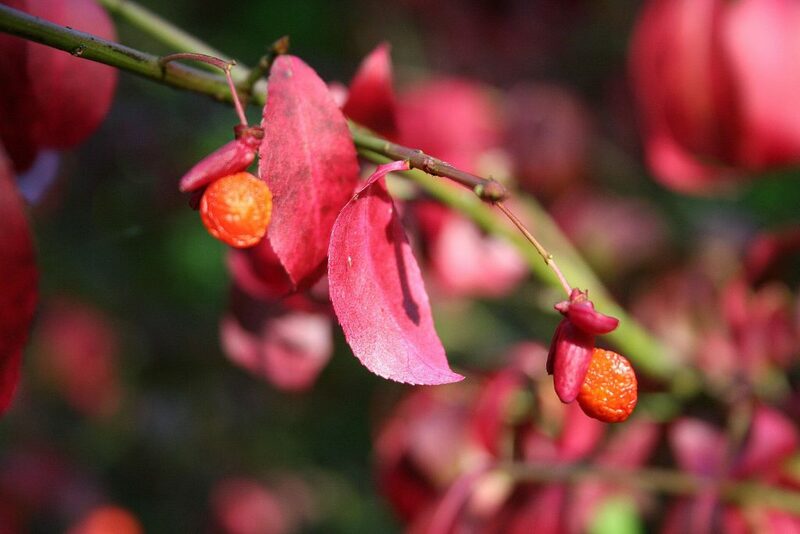 Euonymus alatus fruit. commons.wikimedia.org (Accessed 5/2018). Fruit a purplish capsule, splitting open to reveal bright orange fleshy aril-covered seed, pulp lipid >10% (White and Stiles 1992), seeds bird dispersed. 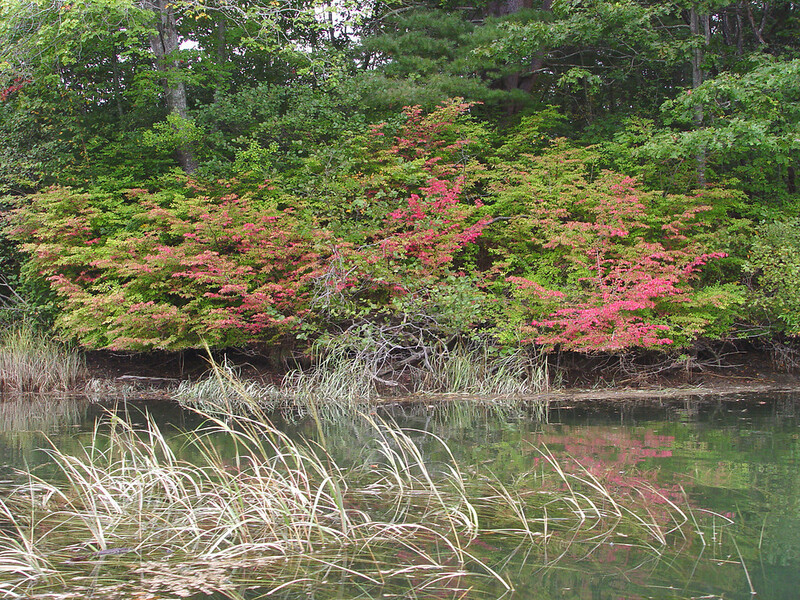 Euonymus alatus shrubs. By Donald Cameron. Copyright © 2018 Donald Cameron, New England Wild Flower Society. gobotany.newenglandwild.org (Accessed 5/2018). Habitat: Second growth, forest edges. Notes: Invasive in some areas outside NYC.